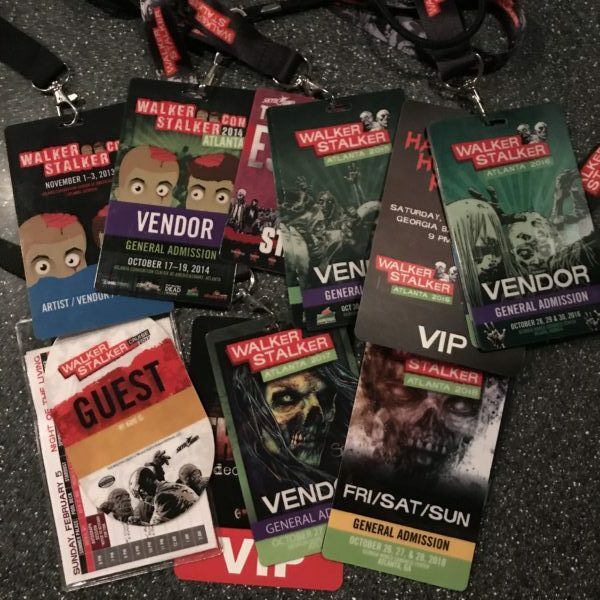 Another Walker Stalker Atlanta has come and gone, our 6th since we have been with them from the beginning! While always exhausting it’s always a blast connecting with friends and fans! We have a cute video at the bottom of this post and on social media that you can share out and we hope that if you didn’t have a chance to join us this year that you’ll consider next year – Oct 18-20, 2019! This year was our first as the new owners of “Dale’s RV” (yes, it’s a replica) and we had great fun with it and working on having more celebrities sign, but Xander Berkley is on it and done! We started with Will Call at our retail shop in Castleberry Hill in Downtown Atlanta the weekend prior to the con, making it super easy to allow guests to skip the additional line! We had a kick-off party with our team and the WSC team and a super fun tour with Josh Mikel, bad boy Jared on the show, the week leading up to the con. 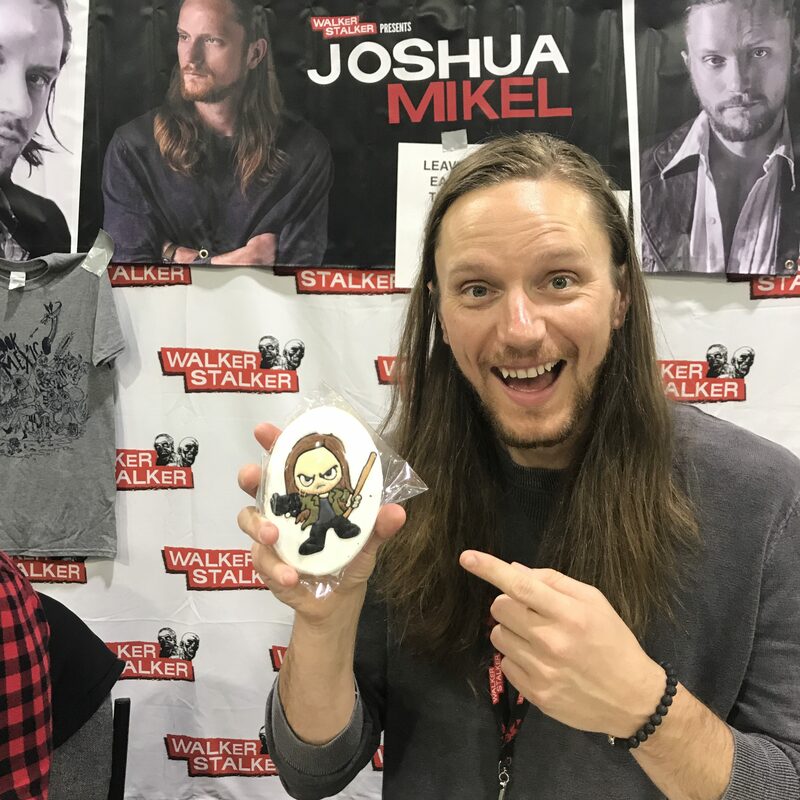 The guests loved Jared, got treated to a special stop at his death scene location (spoiler alert) and Cookie Creations by Tiffany cookie goddess Tiffany even made up a few Jared cookies, which we asked him kindly to sign at the con and getting out to guests. Move in of the RV was an experience since she doesn’t drive right now. We are in the process of turning her into a fun escape room experience and will see if we can get her rolling, but for WSC she was not. Big trucks and forklifts were involved and it was certainly an experience! Moving her out when everyone was gone…much easier! Keep watching our social media and emails for progress! 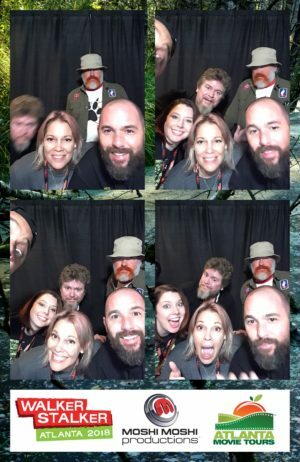 We loved meeting up with celebrities, guests, fans and friends and had a blast! We had folks drop off supplies for Hurricane Michael Relief and Zander Berkley signed the RV (yay, the first!). The cherry on top was the lovely Jenna Elfman pulling our Sunday ticket winner, Jessica Maskal from Lincoln Park, NJ, who then proceeded to hear Jenna Elfman call her name from across the show floor and came running! We sponsored the VIP Lounge and loved having everyone visit our booth to play Plinko thanks to Cindy who came up with such a super fun addition! 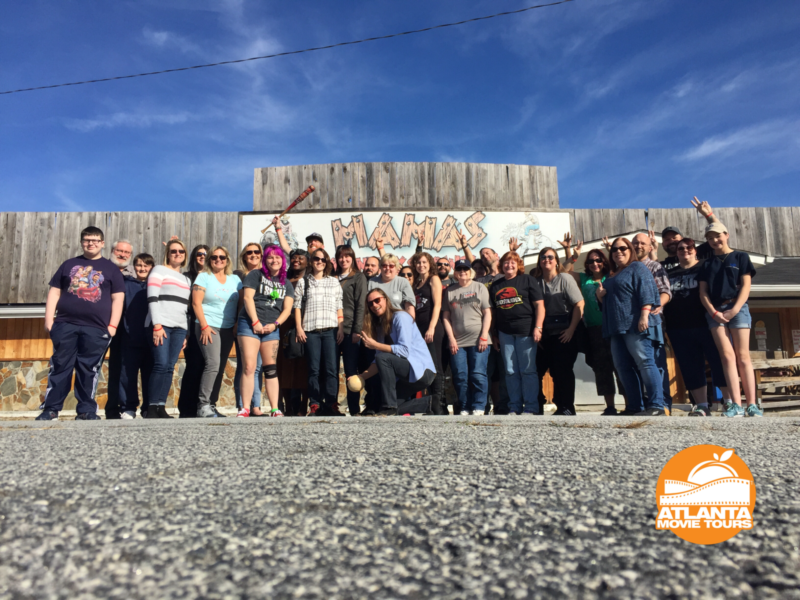 We ran transports back and forth to Senoia for con attendees to check out Woodbury & Alexandria first-hand, grab a coffee at the Waking Dead Cafe, a burger at Nic & Norman’s and shop at the Woodbury Shoppe. Up at the con, we offered our one-hour Big Zombie Bite-Sized Tours straight from the GWCC so everyone could see fun Atlanta locations if they didn’t have time for the full tour. When all was said and done we had quite a run for a week! Our #TeamAMT was epic and pulled it off flawlessly! Looking forward to seeing everyone again soon! Time to start prepping for holiday fun and hoping for more fun tour announcements coming soon!